Want to make use of all those leaves in your garden? Then cover them in paint and make fun leaf prints onto brightly coloured card. Little ones of all ages will enjoy making pretty patterns and if it’s a sunny day you could even do it outside to save bringing the leaves indoors. The great thing about this activity is you have to go and find the pine cones first which is fun in itself and will wile away the time. Once you’ve collected some, paint in an array of colours and leave to dry before displaying in a big glass bowl. Again, head out into the great outdoors and gather a host of long and short sticks. If they’re wet, pop them in the airing cupboard for a while before making funny stick men pictures. Secure each stick with glue and they’ll make great decorations for the nursery or playroom. 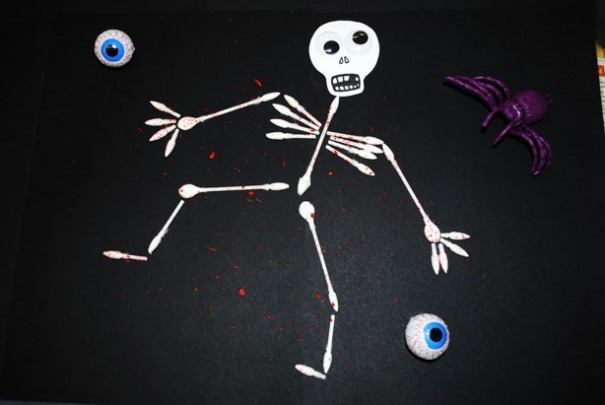 As well as stick men you can also learn how to make cotton bud skeletons. These are simple yet effective and look great stuck to black paper. Halloween might have passed but there’s no reason why you can’t spook things up now and again. If you want your children to have fun, but don’t fancy tidying up loads of mess, this finger painting idea is ideal. Simply fill a heavy-duty Ziplock bag with at least two colours of paint and do it up. Place a white piece of paper underneath and secure to the table using painter’s tape. Your little ones can go to town painting a host of pretty pictures without getting mucky. Paper plate decorating is a fabulous thing to do on a wet and windy afternoon. To make it as exciting as possible, cover a table in newspaper and lay out everything from paints to coloured paper, glitter to crayons and let your children get creative. You’ll find plenty of instructions and inspiration online, including all the materials you will need for this project. You could even turn the paper plates into funny masks by securing a length of elastic to each side. This will add another dimension to your paper plate decorating activity and encourage role play games which most kids love. Cutting and sticking is sure to make a dull winter’s day a lot more enjoyable. You can either plan an activity in advance by cutting out various shapes that need to be stuck together to form a picture or you can let kids use their imagination and create a collage of their own making. If your children are too young to cut and stick but still want to be involved with arts and craft sessions, let them loose with stickers. Available in all kinds of pictures and 3D designs, stickers provide a cheap, cheerful and a hassle-free way for youngsters to get creative. Whether you want to wish someone a Merry Christmas or a Happy Birthday, handprint or footprint cards will certainly add that personal touch that most friends and relatives appreciate. 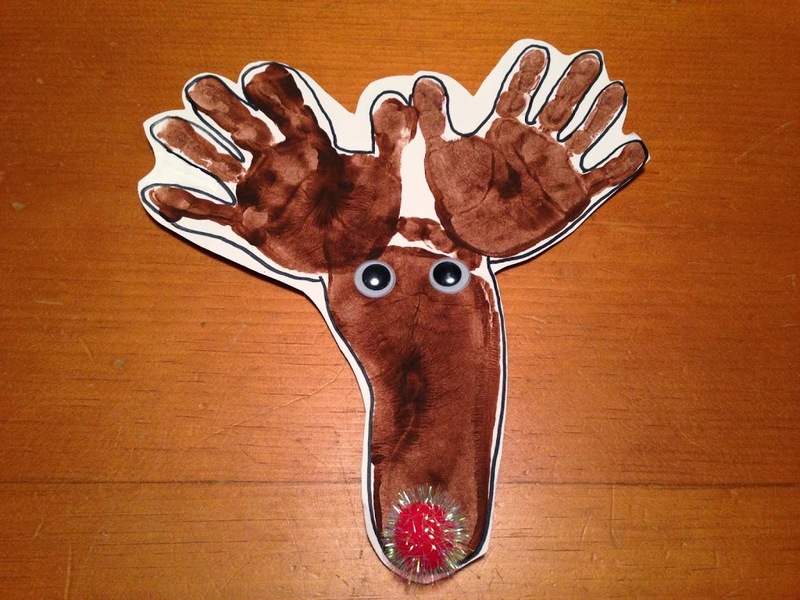 During the festive season it can be nice to turn handprints into Rudolph by using the fingers as the antlers and painting on black eyes and a red nose. As the winds howls and the snow falls, winter crafts are certainly a good way to ensure kids stay busy through the nippy months. Disclaimer:- This is a featured post, but a lot of fun. I’m trying these out.